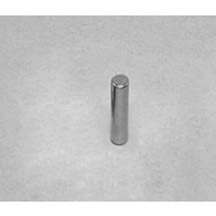 The SMCN0264 CYLINDER neodymium magnet is made from high performance N42 NdFeB, with Nickel coating. 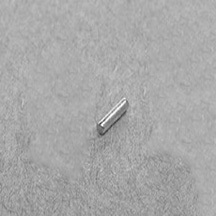 The dimension of this item is 1/10″ dia. 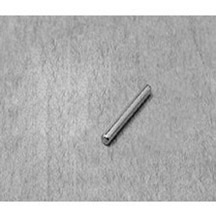 × 2/10″ thick, magnetized Through Thickness, with tolerance of ±0.004″ × ±0.004″. The weight of this super strong neodymium magnet is 0.000425625 lbs. It can pull up to 0.53 lbs steel. And the surface field is up to 6403 gauss. 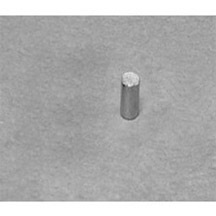 Max Operating Temp(C/F): 80/176 The SMCN0264 CYLINDER neodymium magnet is made from high performance N42 NdFeB, with Nickel coating. The dimension of this item is 1/10″ dia. ± 2/10″ thick, magnetized Through Thickness, with tolerance of ±0.004″ ± ±0.004″. The weight of this super strong neodymium magnet is 0.000425625 lbs. It can pull up to 0.53 lbs steel. And the surface field is up to 6403 gauss.